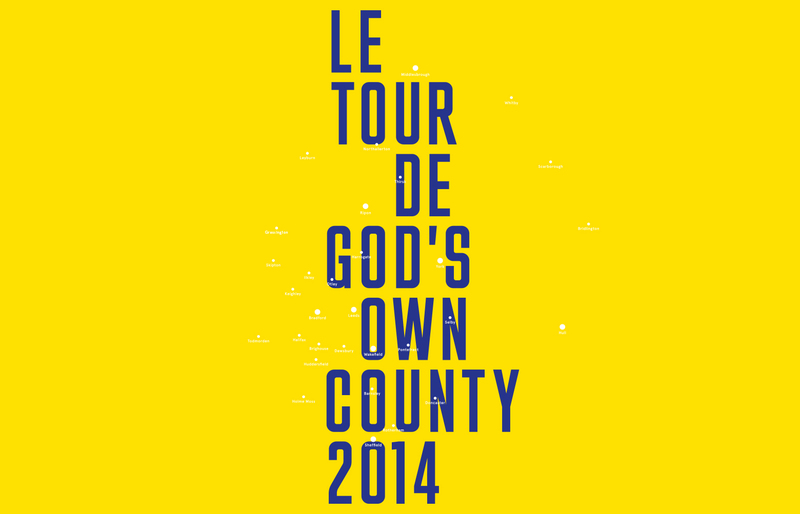 We were invited to take part in ‘The Art of The Grande Depart — Yorkshire In Yellow’ exhibition. Organised by Museums Sheffield and MADE NORTH, the event takes place during Sheffield Design Week, June to August 2014 at The Millennium Gallery Sheffield. 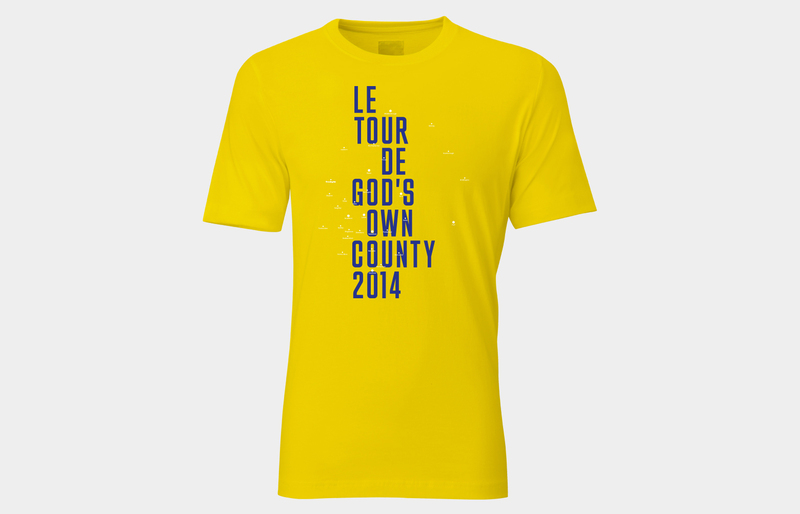 The ‘Maillot Jaune’ has become a style icon as well as a sporting emblem and the Yorkshire In Yellow project will celebrate this distinctive feature of the Tour’s heritage. 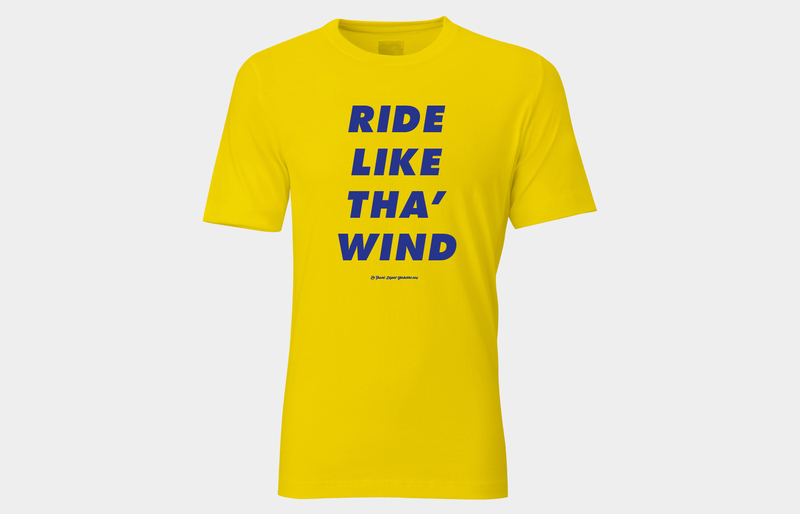 Worn by the leader of the Tour de France since 1919, the jersey has become a symbol for the talent, hard work and dedication needed to lead the Peleton. 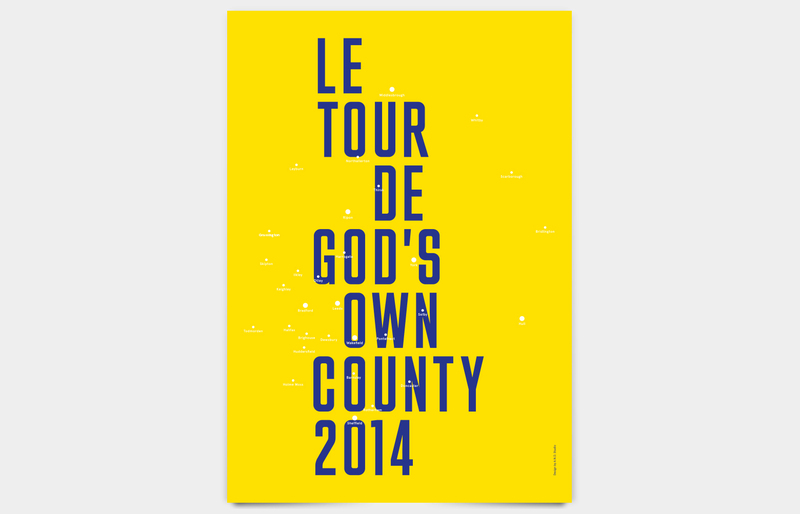 We submitted two designs, one celebrates the location of this years Grand Depart and our very own homeland by coining the phrase ‘God’s Own County’ and capturing the various places within Yorkshire. 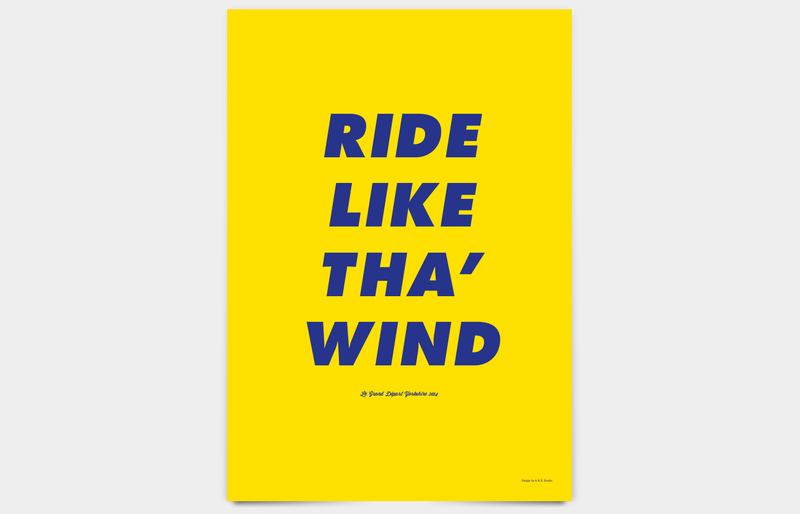 The other uses local dialect to depict the chase of the Peleton. 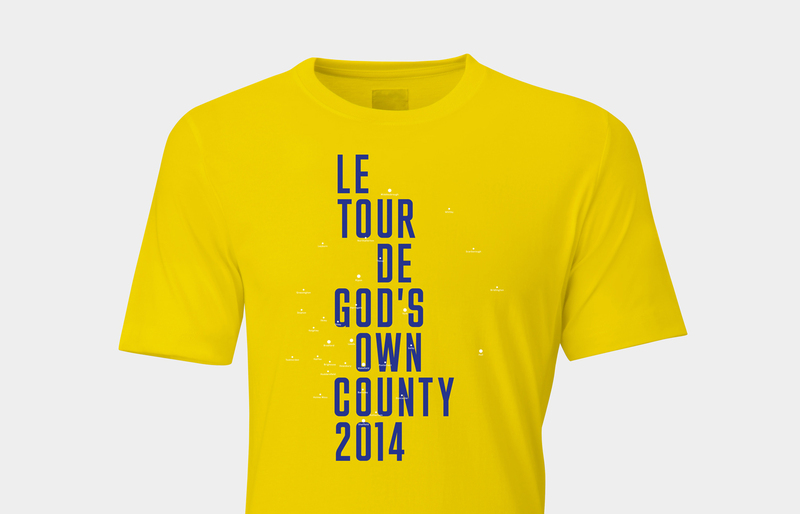 Buy the “Le Tour De God’s Own County” tee from MADE NORTH.